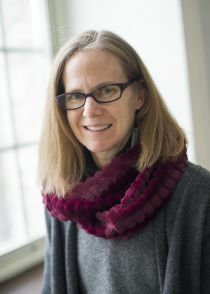 Cynthia Bansak is an Associate Professor of Economics at St. Lawrence University (SLU). She holds a BA in Economics from Yale University and an MA and PhD in Economics from the University of California, San Diego. Prior to joining SLU in 2007, Cynthia was an Assistant Professor at San Diego State University and an Economist at the Board of Governors of the Federal Reserve System. She considers herself an applied microeconomist with research interests in labor economics, international immigration, remittances, educational attainment, and business cycles. Her work has been published in various academic journals, including the American Economic Review Papers & Proceedings, Applied Economics Letters, Contemporary Economic Policy, Eastern Economics Journal, Economic Inquiry, Industrial Labor Relations Review, Industrial Relations, International Advances in Economic Research, Journal of Policy Analysis and Management, and the Southern Economic Journal. She has also recently co-authored a textbook on the “Economics of Immigration” by Routledge Publishers. Cynthia joined CReAM as an External Research Fellow in January 2015.